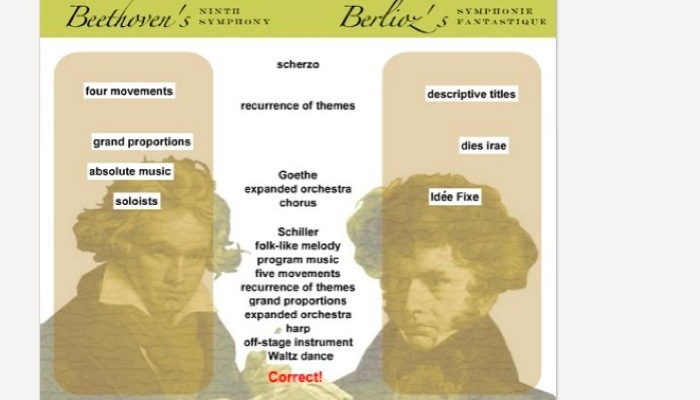 Berlioz and Beethoven are two well known composers from the Classical era. This drag-and-drop activity helps the student define similarities and differences between the two composers’ operas. This entry was posted in Interactive, learning activity, Music and tagged classical, fine arts, flash, history, Music by Britt Carr. Bookmark the permalink.